My wife Sumithra left for Chennai, India on 7th November 2010 to be with my son Sudharshan during his Semester examinations. From Chennai, she left for Bengaluru on the next day. 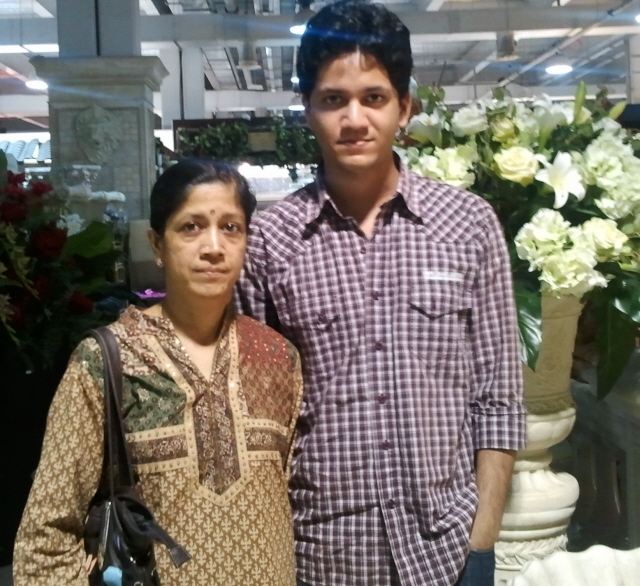 Sumithra's presence in Bengaluru helped Sudharshan concentrate on his studies much better. Both Sudharshan and Sumithra returned to Sharjah on 29th December 2010 by Air Arabia flight from Chennai and Sudharshan will stay in UAE for a fortnight.